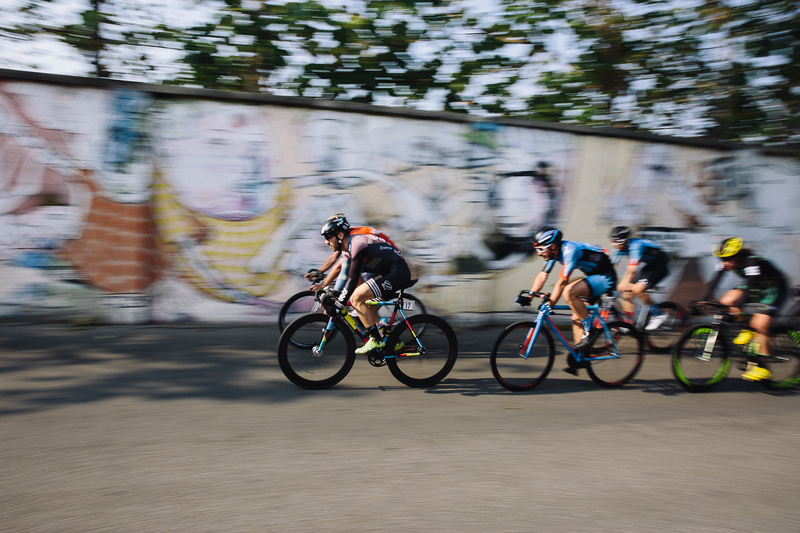 Attentive readers of our blog already know the Red Hook Crit. 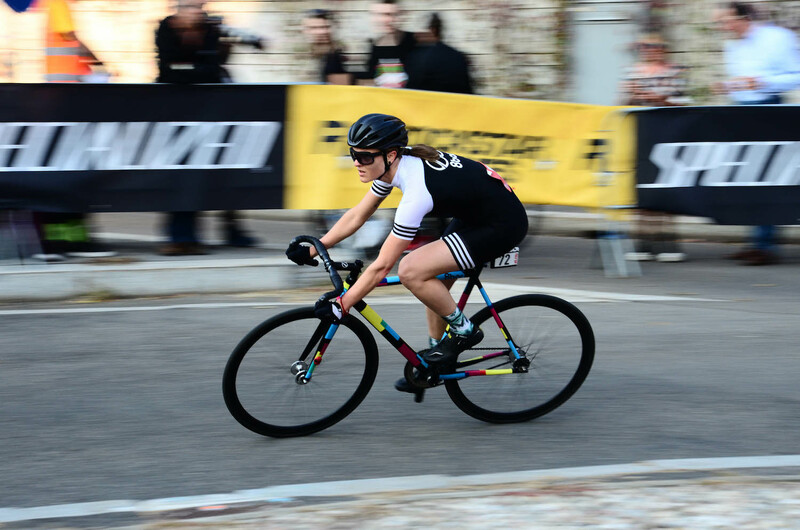 The largest fixed gear race series annually takes place in New York, London, Barcelona and Milan. 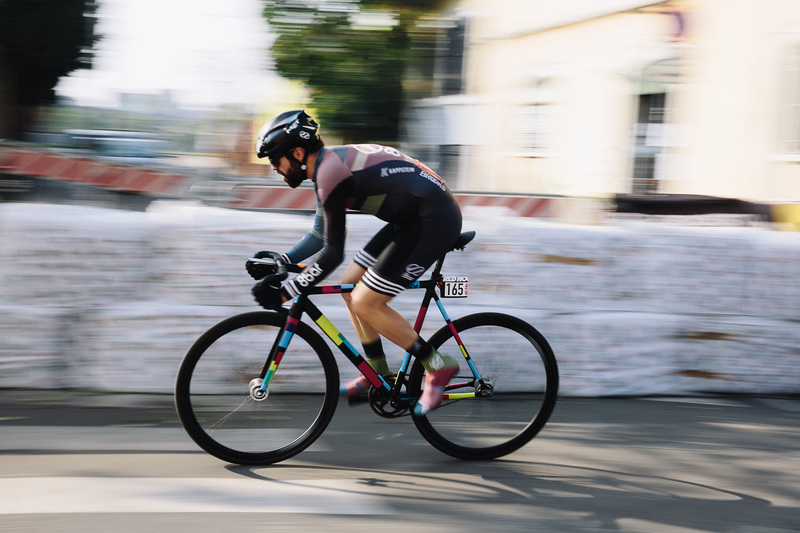 At the end of the season, the international fixie scene met in the Italian metropolis for the final RHC 2017. 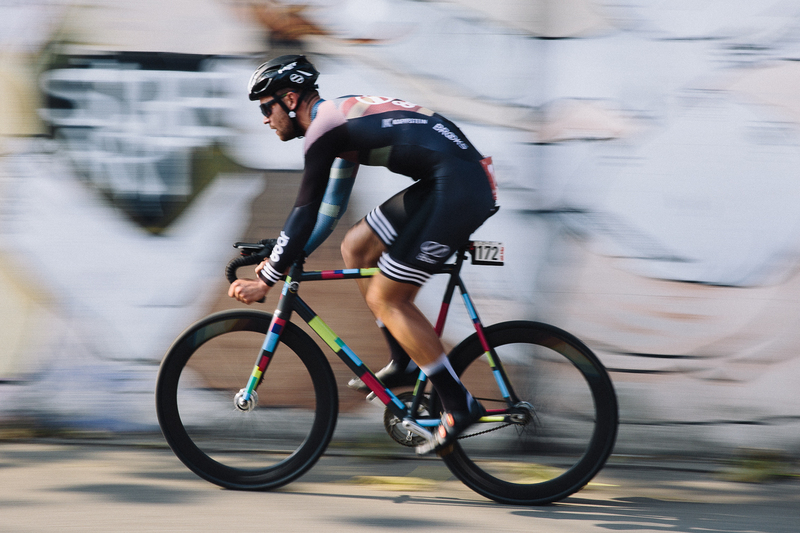 For the 8bar team, Nico, David, Tim, Stefan and Niki traveled to Milan. 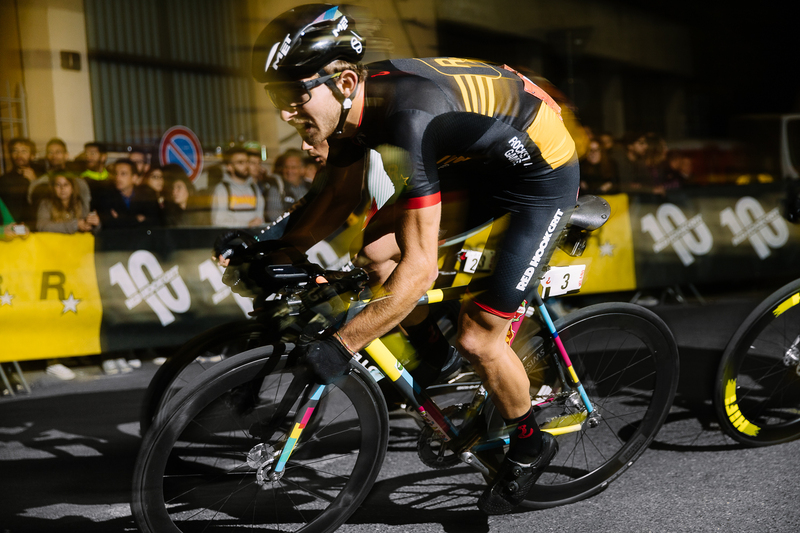 The goal was clear: David should secure his deserved place on the podium of the RHC overall ranking. Already on Friday the race weekend started with a very special highlight. 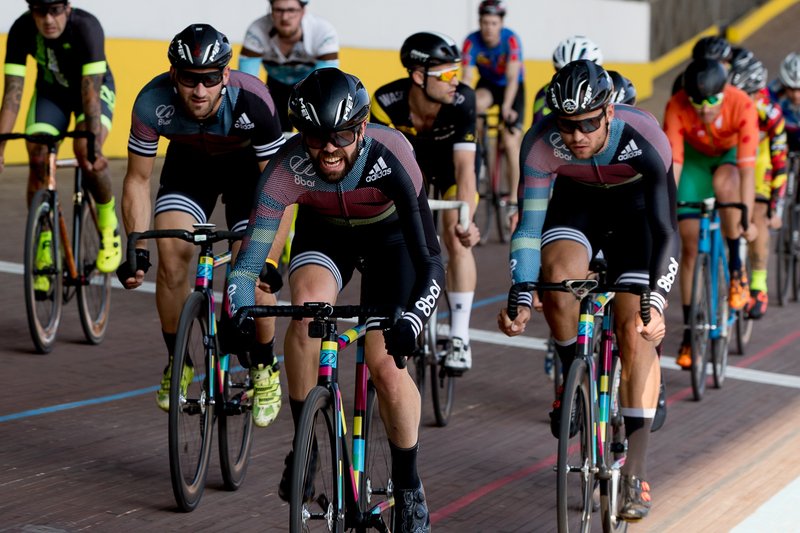 In the famous Velodromo Vigorelli the participants and teams met for a common Meet & Greet the day before the race. 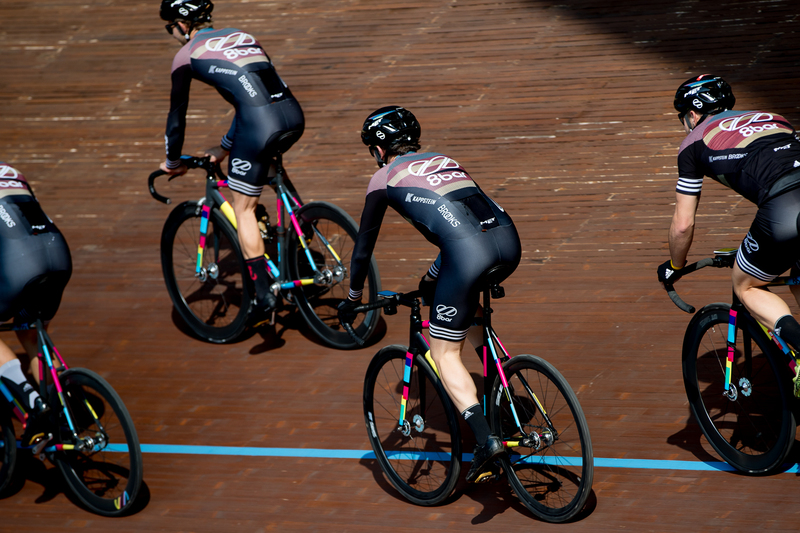 Of course the track was used heavily by the riders for a warmup. 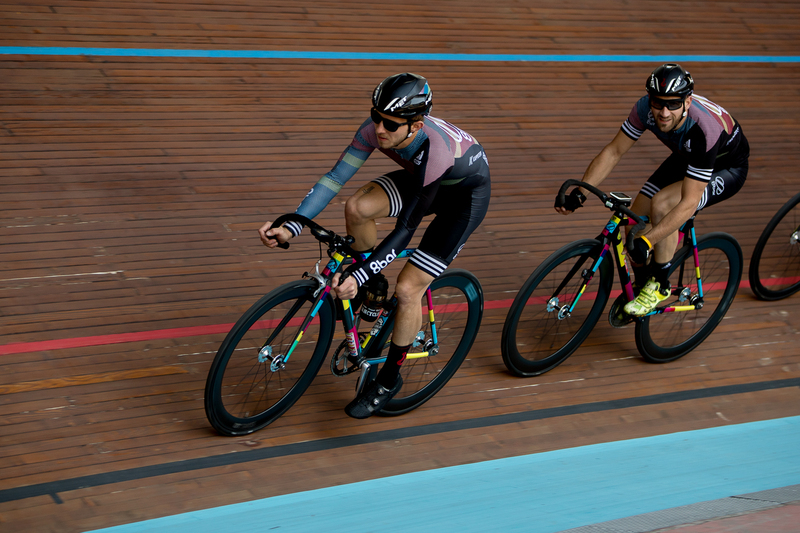 Milan’s Velodromo Vigorelli is a historical place. 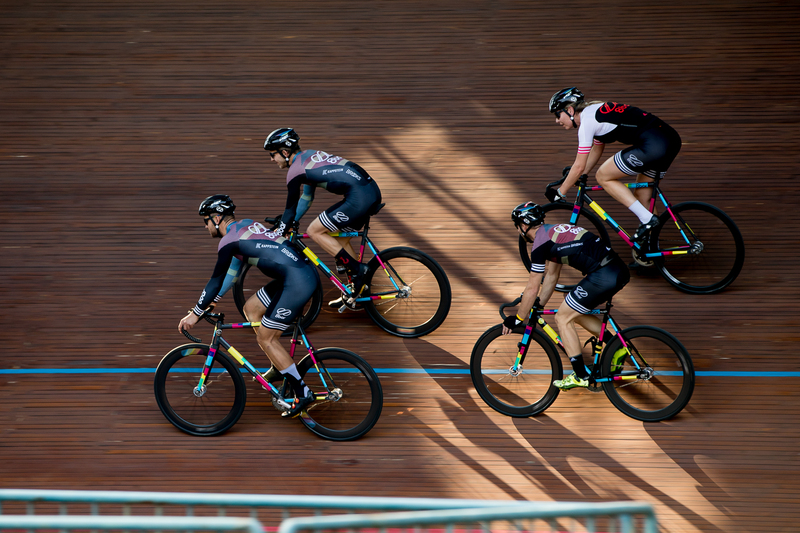 The open air track was designed by the German architect Clemens Schürmann and was originally located in Rome. 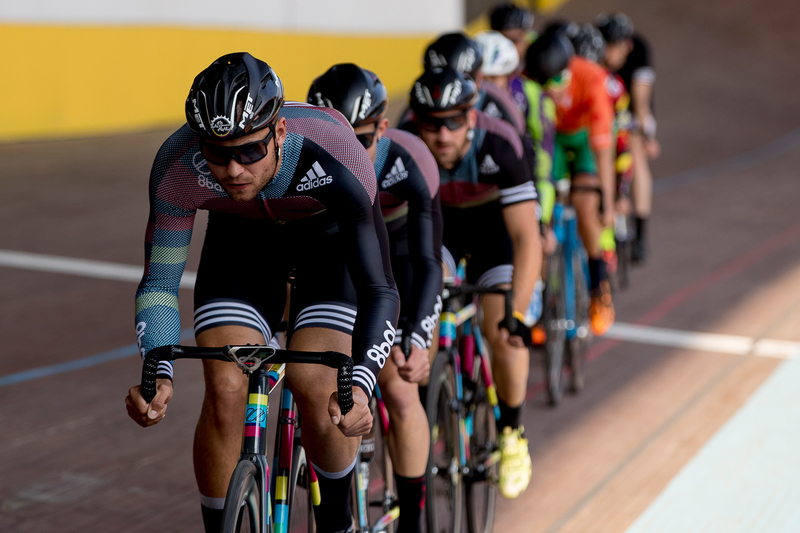 After the World Championship in 1932, the Velodrome was rebuilt in Milan and opened three years later. Unfortunately destroyed by the war, the building was luckily reconstructed. Since then, all sorts of world records have been set up here. Some of them are still current records. 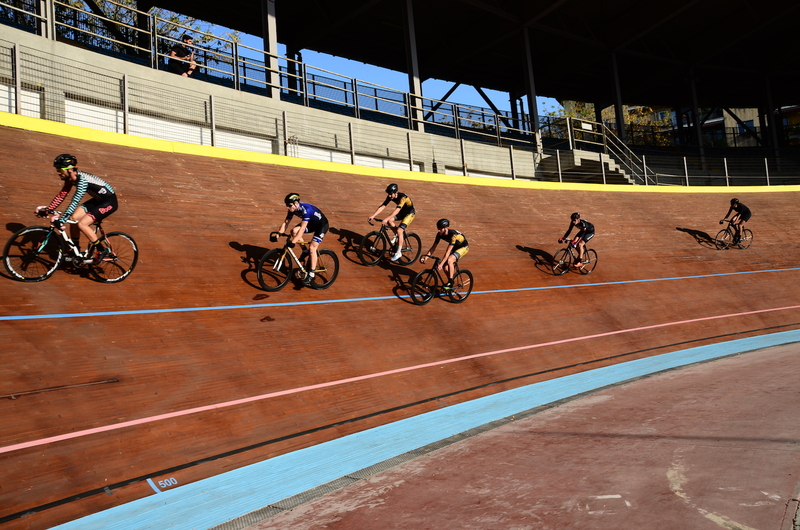 Last year, the Velodrome was opened again after 15 years of extensive renovation work. 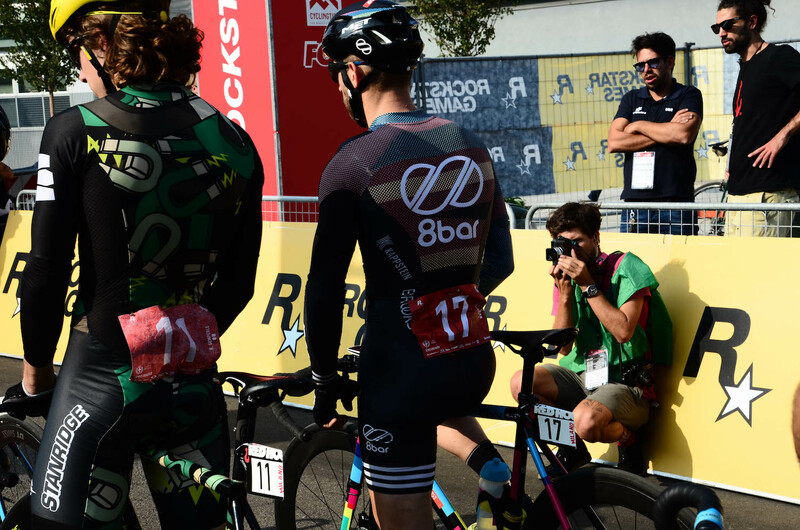 For the 8bar team, it was a good opportunity to make the final strategic decisions for the race. 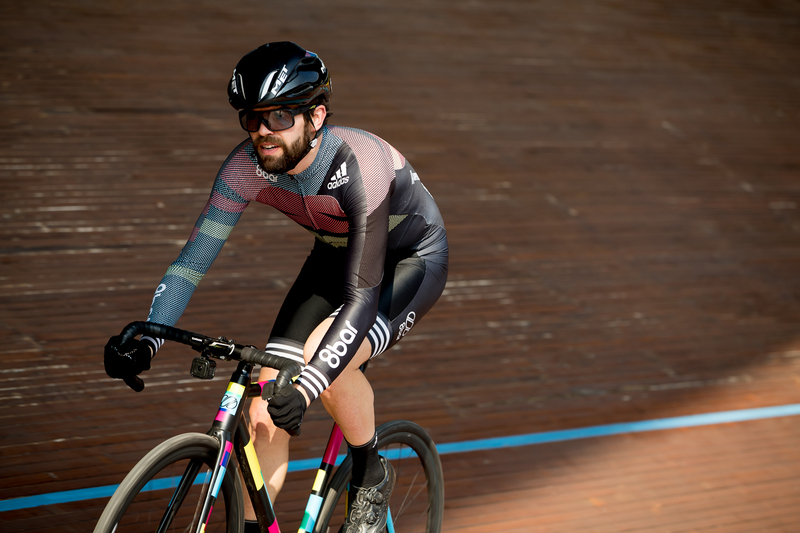 The main target was to secure a place on the podium in the overall ranking for David after his grand victory in Barcelona and other good results in this race series. 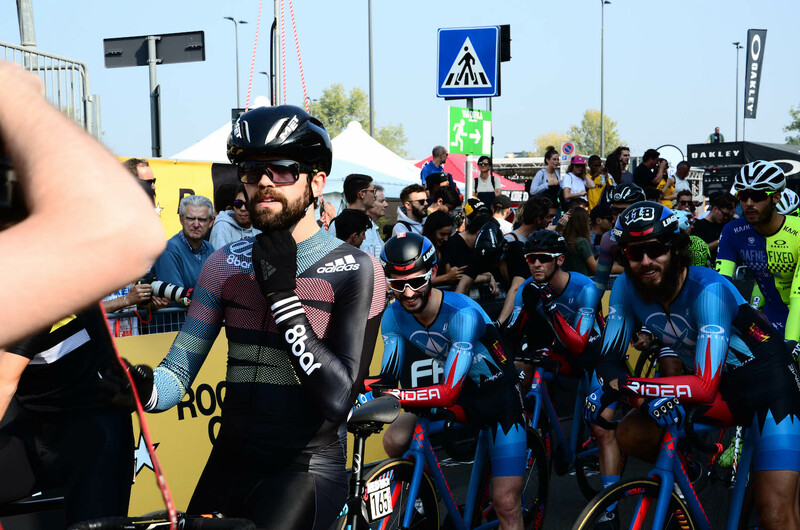 Rested and motivated the 8bar team and their assistants and friends arrived at the circuit in Milan’s Bovisa district. 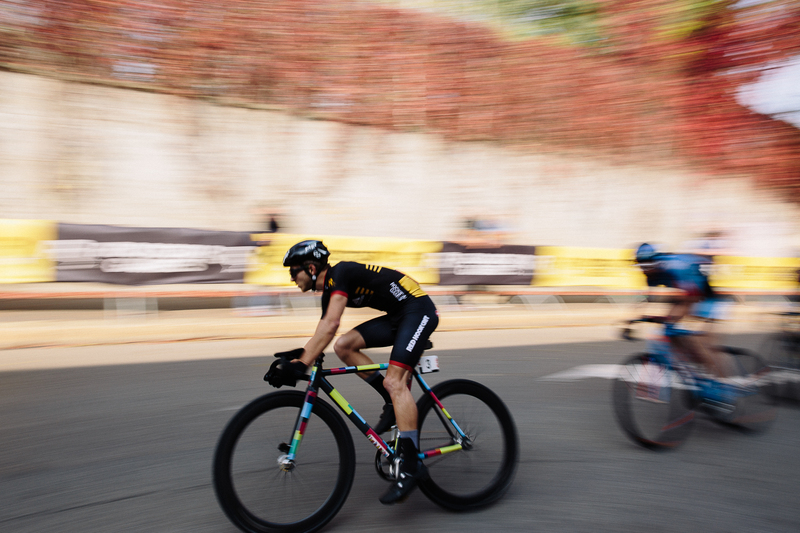 After the test ride on the track, it was clear to everyone, that this is going to be a very fast race, because without sharp turns and corners, all riders would make their laps at full speed. This was a very important fact for the team’s strategy. 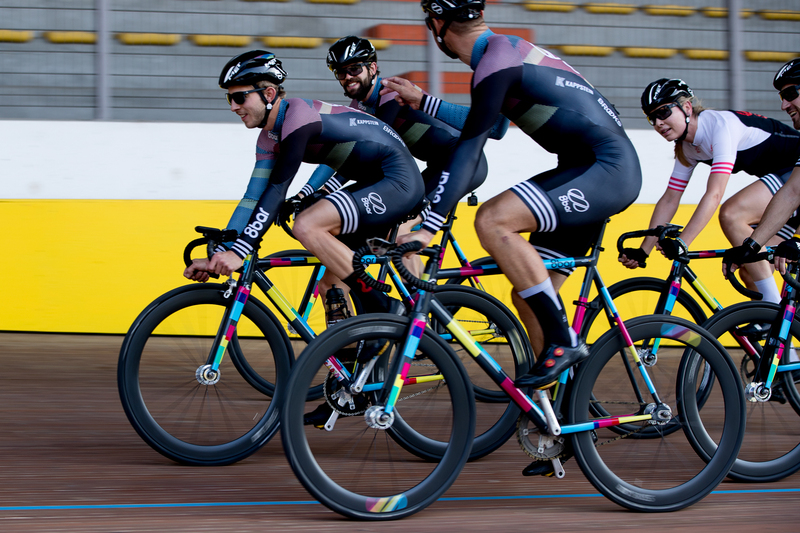 The guys of the 8bar team all found themselves in the same qualification group. So they were able to follow their plan and provide the best placement for David during the heat. 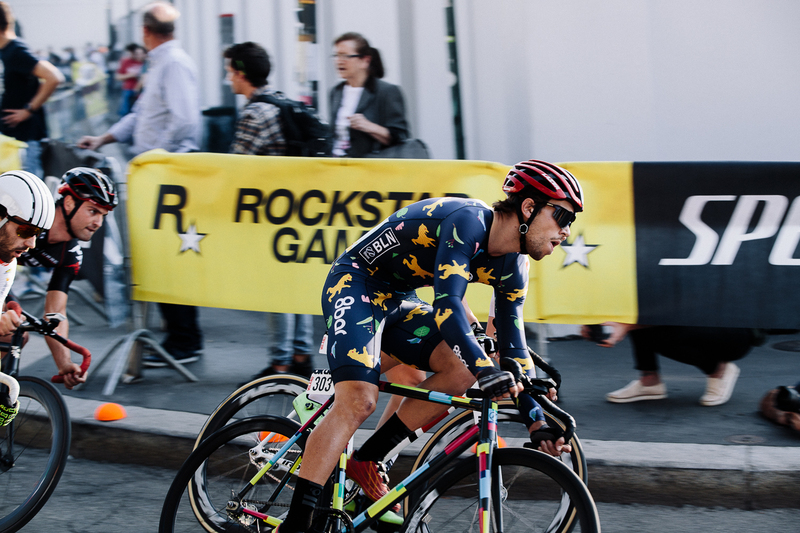 In this constellation Nico was the pacemaker who speeded up the whole field from the front. 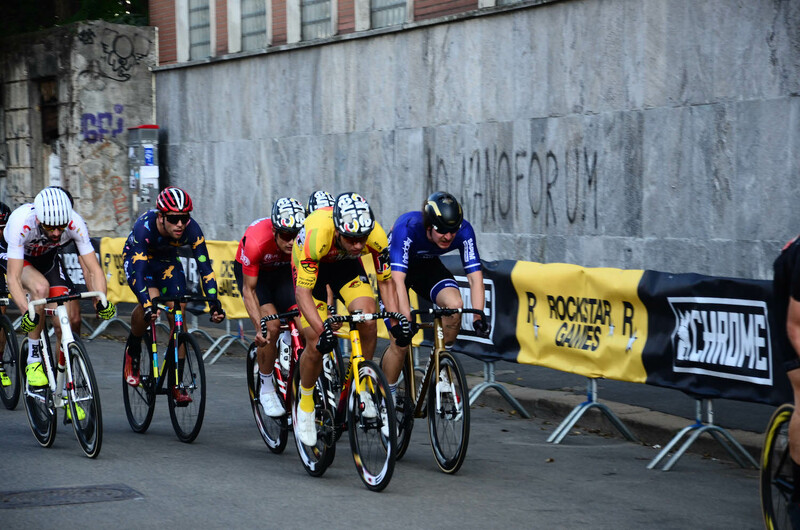 Right behind him came David, who was in the slipstream of Nico, to stay fast but to save valuable power for the final. Tim cleared David’s back and made sure that no opponent interfered with David’s line or started dangerous attacks. The planned strategy went well because of smart teamwork: David won the qualification, Tim was second and Stefan and Nico also made it to the final. 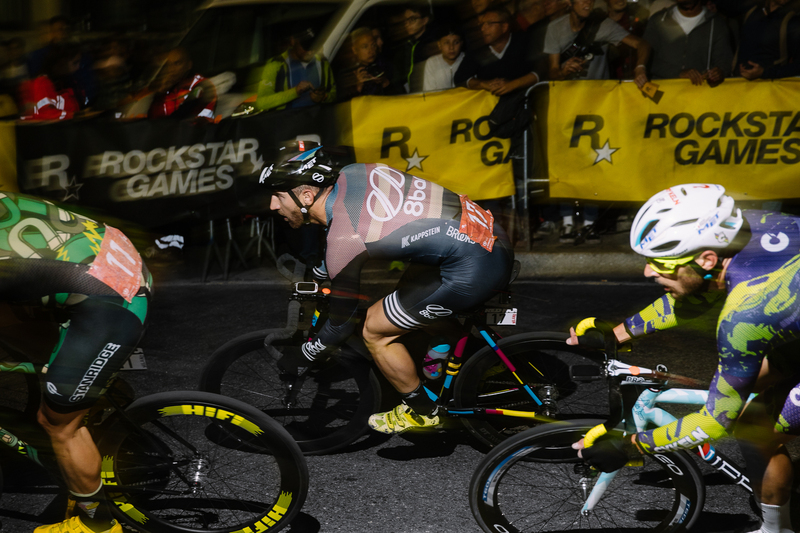 The final of the Red Hook Crit race is always unpredictable – a surprise and a crime thriller at the same time. 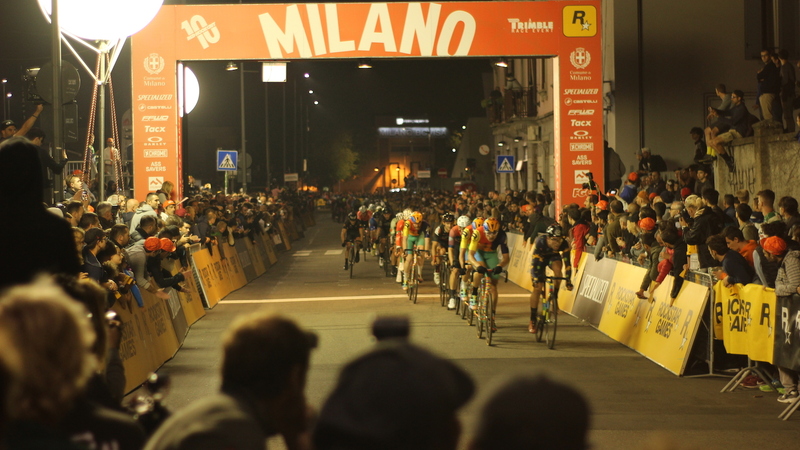 Later in the evening the male riders entered the starting line. 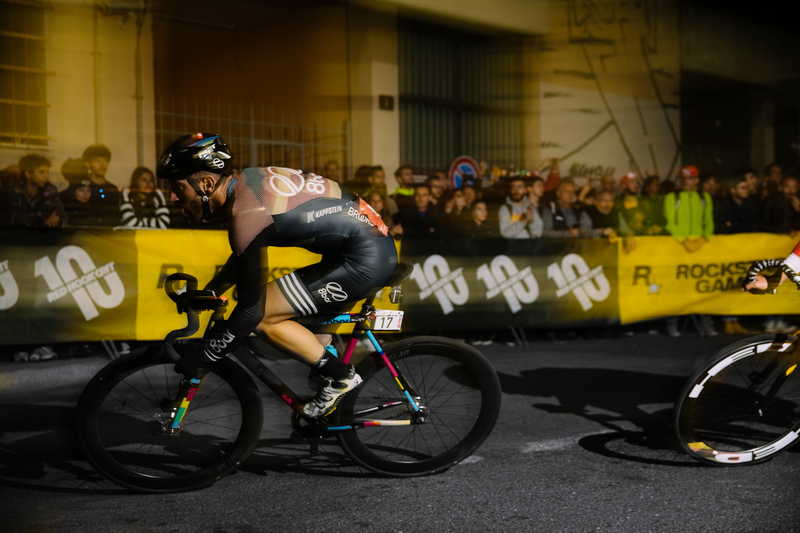 The track was covered in floodlights so that the audience around the track could see everything, and of course the riders, too. 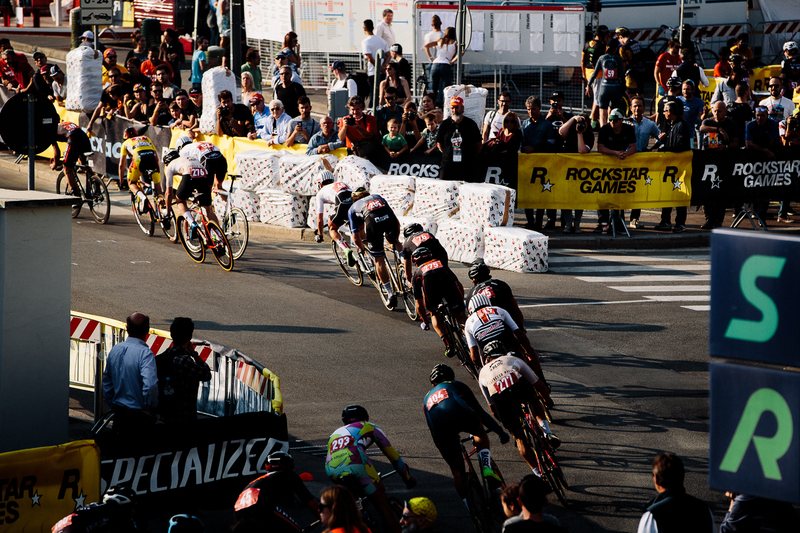 The atmosphere was great and itself a highlight which made the adrenaline of the riders raise even further. Then there was the starting signal and the race started right away with full speed. It was clear to everyone that it would be a fast final, but nobody expected it like this. Lap after lap two riders started their very own race during the final. 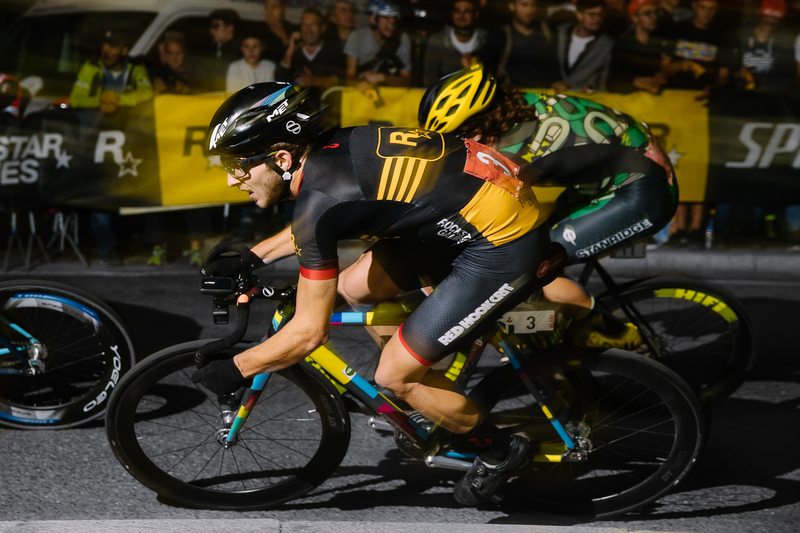 Ivan Cortina and Alessandro Mariani were able to make a 30-second gap between them and the chasing pack. It was indeed impressive. 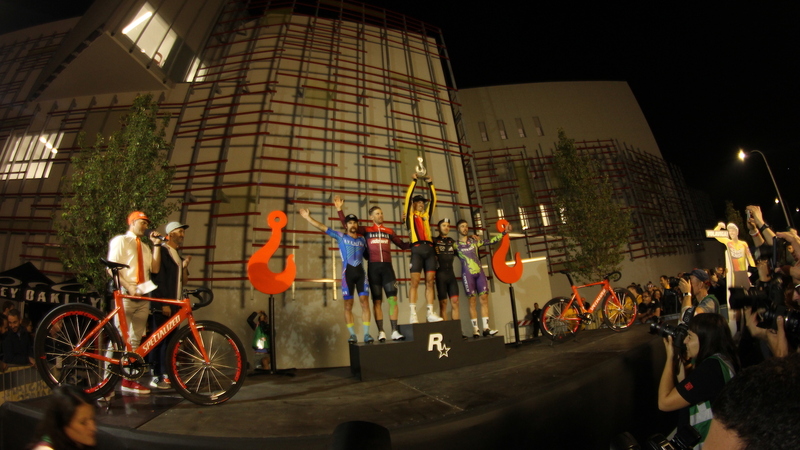 Both of them fought for the first two places on the podium. 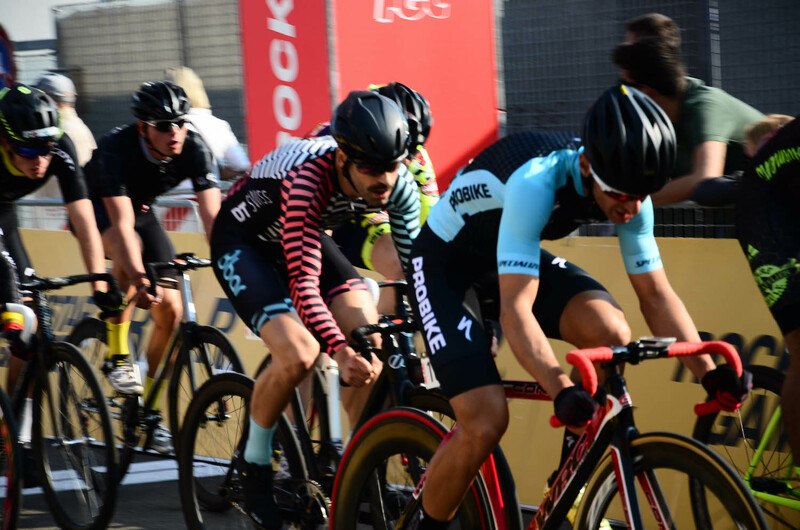 David, Tim and Nico were able to achieve good positions in the field and defended it successfully despite the extremely high pace. They had a very strong final. David made it to the 12th place and Tim to 13th. However, it was enough for David to take the third place in the overall ranking. 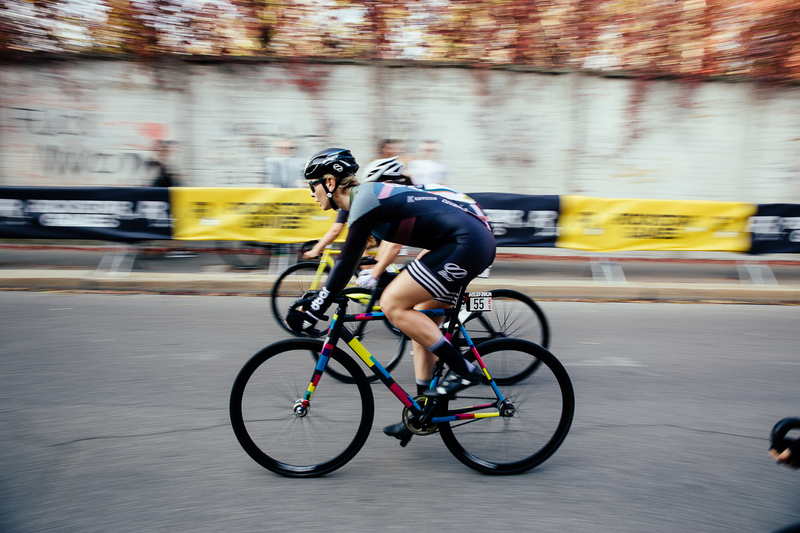 The final of the women was no less exciting and dynamic. There has been a very strong leading group that remained closely together until the end. Up to the finish line they fought very hard and strong and started attack after attack. Maria Sperotto, Raphaele Lemieux and Elena Valentini made it to the podium. Niki held herself bravely in the midfield and finished the race with a good 36th place. The 8bar rookies are also worth mentioning. 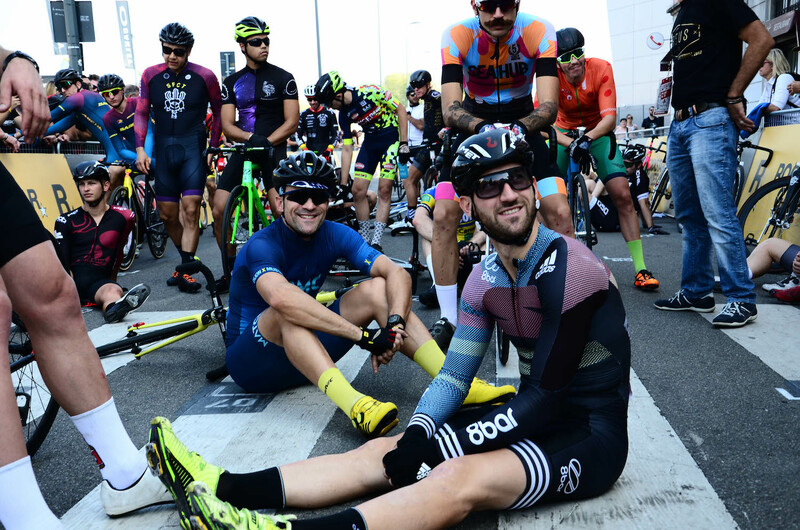 Robert Kessler, Eric Brugnon, Malte Juerss, Luis De Sousa, Jean-Francois Ceresa and Eva Seibold participated in the RHC Milan. Three of the guys and Eva made it to the final. 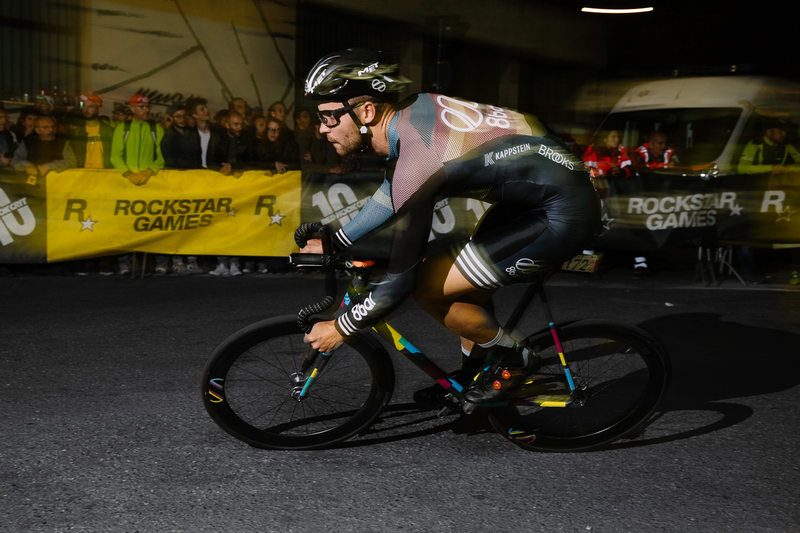 Here, Robert showed a strong performance at his Red Hook Crit debut and directly finished 14th. Eric got 35th and Malte 39th. An outstanding success, which promises an exciting next season for the 8bar rookies. 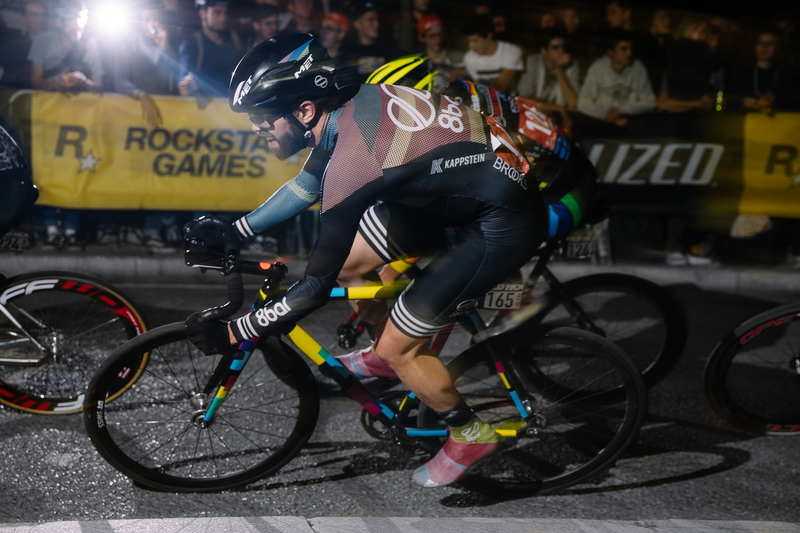 The Red Hook Crit in Milan crowned the season with the 3rd place of David, 16th place for Tim as well as a 8th place for the 8bar team in the RHC overall ranking of the men. 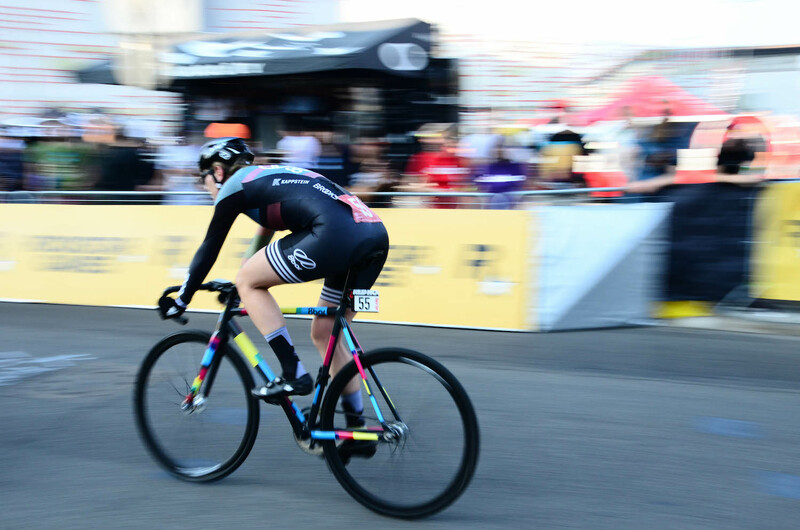 This is a great result for the 8bar team, which has been able to achieve numerous successes throughout the past year and provided some surprises as well. We look back on a fantastic season 2017 and look forward not only to the well-deserved break, but also to an exciting racing year 2018.